Tap operation that is as light as a feather. Smooth joystick handling for effortless precision and ultimate convenience to last a lifetime. 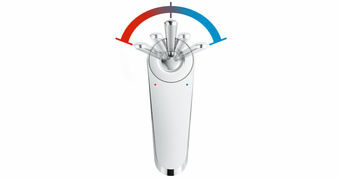 The brand new GROHE Feathercontrol cartridge brings joystick control to a whole new level. 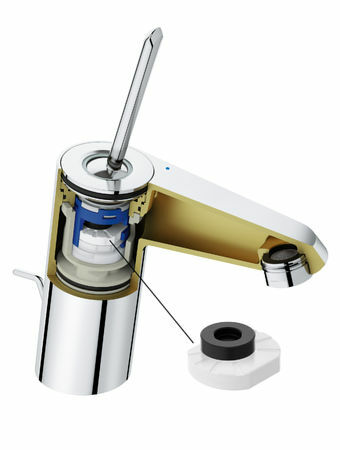 using state-of-the-art coated ceramic discs and an innovative sealing, the GROHE engineers have created a joystick cartridge with a wider volume and temperature angle – for a more precise control – with the same silky smooth operation as our renowed GROHE SilkMove® cartridge. 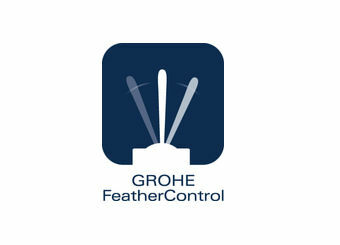 Only GROHE mixers deliver the unique GROHE Feathercontrol experience. The solid smooth handling of our joystick-lever mixers perfectly expresses the quality and superiority of our brand.brand. Effortless fingertip control and silky smooth operation, thanks to the superior ceramic disc-coating. The wide Feathercontrol temperature angle ensures more precise temperature control. 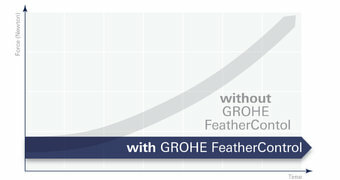 Even after years GROHE Feathercontrol guarantees the same smooth operation as on day one.